Abbey Court Hostel is a friendly hostel with a great, central location by the river at O'Connell Bridge in Dublin city centre. It walking distance to shopping areas, attractions and entertainment. Welcome to the Abbey Court Hostel Hotel in Dublin. Abbey Court Hostel is a friendly hostel with a great, central location by the river at O'Connell Bridge. It is an ideal location for exploring temple bar area and Shopping area on Grafton street. Our hostel has free Wi-Fi, lockers, international phones and power showers. For more information or to check the availability of this Hotel in Dublin please click on the availability link above and below. 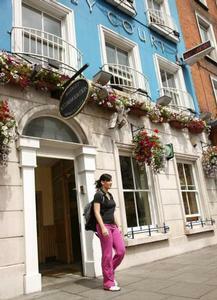 Our Hotel is located in the heart of Dubin city centre close to O'Connell Street, Temple Bar area and shopping.